I sincerely hope that Craig Eiland holds on. He is one of the legislators I’ve been impressed by for years. I am grateful for how he’s fought for UTMB Galveston, and he’s a thoughtful statesman. A rare breed in the House these days. 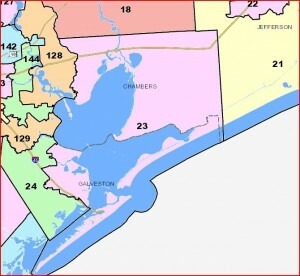 Not in the House, but Seliger’s Senate plan passes, then Wendy Davis is gone. You got a link to the senate map, Blank? Also, no, no, in the new map Eiland could definitely lose. He had a warm body as an opponent in 2010 and not much more, and won with 53%. 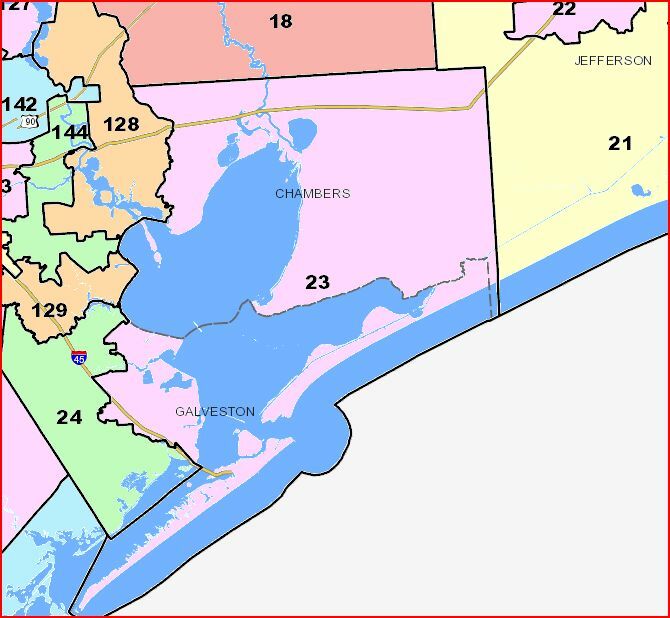 Eiland needs to watch it, this district is only going to get more republican and suburban over time as the blue collar folks get pushed out and the minorities pushed off the island from the hurricane won’t come back.